This handcrafted handle bag comes in square shape making it look edgy. 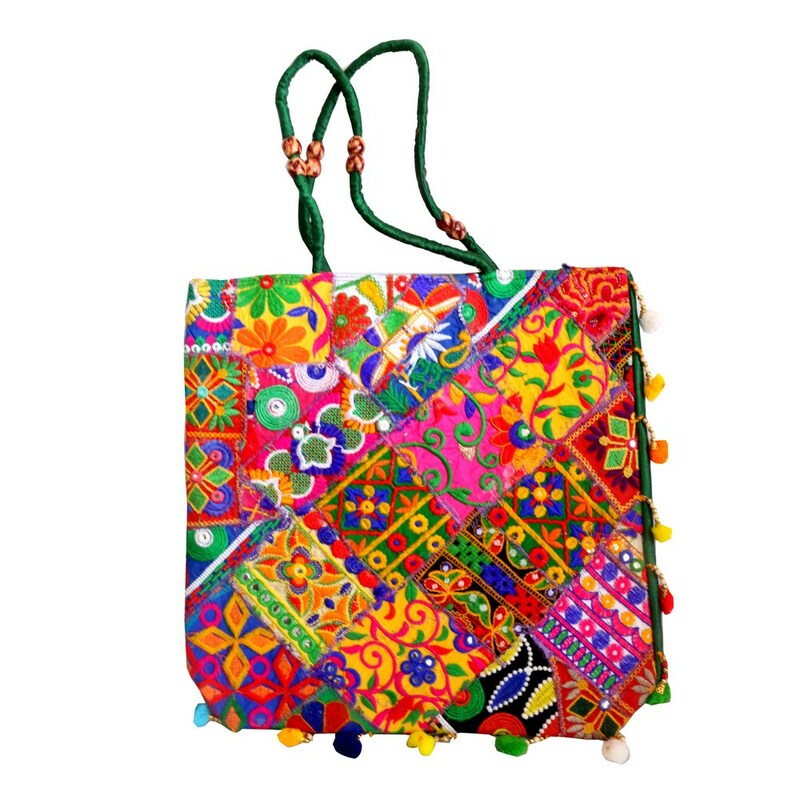 The entire exterior of the bag is carved with ethnic embroidery in several Read More..bright colours. The bag has a small and thin handle making this suitable for everyday purpose and carrying some light weight shopping items. Show Less..